As you age, sometimes you need outside help to ensure you receive appropriate care and that your medical needs are met. This is where an elder care advocate can come in handy. Senior advocacy services can come from professionals or family members that have your best interest at heart. Free services may also be available. It is not unusual for someone in the family to act as an advocate for an older family member. Often a parent, grandparent, or other older loved one becomes too ill to manage things on his own. When a family member steps in and takes over the care of the senior, he or she is acting as the care advocate for his loved one. For the family member that takes on the responsibility of acting as the loved one's care advocate, the job can be exhausting, especially if he is caught in the sandwich generation. 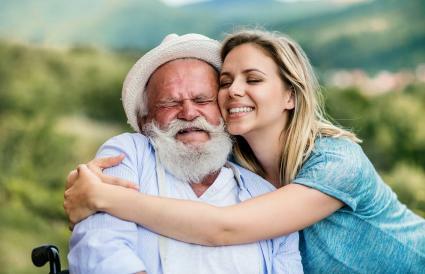 The term sandwich generation refers to people who find themselves in the middle of working, having children of their own at home or in college and caring for an aging ill parent or relative all at the same time. 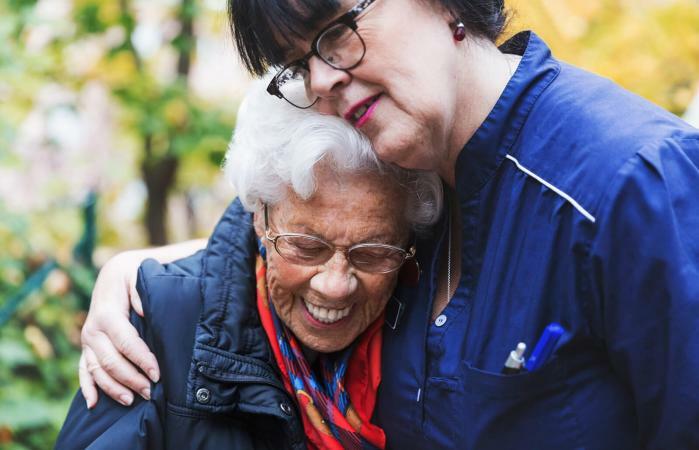 If the responsibility of the caregiver or advocate becomes overwhelming, sharing the responsibilities with another family member or engaging the services of a professional care advocate for seniors is often the best solution for everyone. It is also generally the best solution when close family members do not live near the senior who needs assistance. Many companies provide advocacy for senior care. The services they offer differ based on the specific company, and costs vary based on the individual company starting with free services from a select few organizations. Assistance with medical care and concerns. A complete assessment with care recommendations (usually completed in the senior's home). The completion of a plan of care. Assistance finding appropriate housing and help with the transition to the new living environment such as an assisted living facility or Alzheimer's care facility. Reviewing all bills from medical professionals, hospitals and insurance companies for accuracy. Identifying needed community services such as Meals on Wheels, adult daycare or wheelchair transportation services, and assisting the senior in securing them. If the senior is placed in a care facility, advocates may continue to act as a liaison for families that live out of the area by keeping them informed as they continue to monitor the senior's care and handle the coordination of additional services that may become necessary. Oversee any services needed such as home care, private duty nursing or hospice. If the senior remains living at home, the advocate makes home visits to make sure the senior is safe and well. A free long-term care ombudsman program to ensure that the quality of life in the nursing homes located in the counties is up to, or beyond, the required standards. Free health insurance counseling and advocacy program to help seniors and their families understand their rights and benefits under Medicare, HMOs, and supplemental health insurance. A free residential care counseling program providing information and support to seniors and their families regarding moving into a facility for assisted living, memory care facility or skilled nursing. To find advocacy resources in your area providing free support, contact the National Association of Area Agencies on Aging. Family Caregiver Alliance is a nonprofit organization that works as a public voice for caregivers and focuses on the needs of those providing at-home care for loved ones. It offers services, resources, advocacy and educational programs to help guide, assist and give support when dealing with the challenges and demands of being a caregiver or advocate. On their website, they have the Family Care Navigator which helps find support services for caregivers in each state. Justice in Aging is a national, nonprofit legal advocacy organization that uses the law to help fight senior poverty. They provide resources and training to local advocates, as well as provide advocacy and litigation to ensure that seniors living on limited means have access to programs they depend on, such as Medicare, Medicaid, Social Security, and Supplemental Security Income. The organization also works for access to economic security and affordable health care for seniors. Their focus is on those who have do not typically have legal protection such as women, people of color, members of the LGBTQ and those who speak limited English. The American Geriatrics Society (AGS) is a national, nonprofit organization that is committed to improving seniors' quality of life including their health and independence. They have nearly 6,000 members that are geriatric healthcare professionals. The AGS provides their members along with policymakers and the public, the leadership necessary to help enforce and advocate for programs in patient care, education, public policy and research for seniors. AARP provides a great deal of general information on caregiving and advocacy for aging loved ones. This includes articles with helpful suggestions, app recommendations and much more. Senior care advocates support the needs of senior citizens, providing them with the information and assistance they need in order to continue living the highest quality of life possible with dignity and respect. As healthcare becomes more and more complex and seniors live longer and longer, senior advocates, whether related to the elderly person or hired from a professional agency, become critical members of the senior's support network.